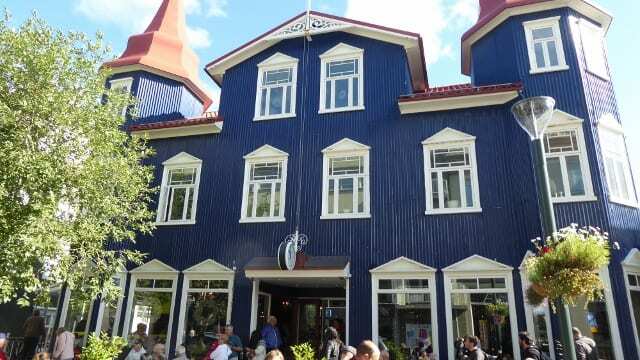 There are plenty of delicious restaurants to check out in Akureyri. From brunch cafés to dinner diners, it’s not hard to find a top-notch place to dine at. 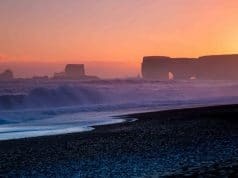 Take a look at some of the best restaurants in Akureyri, Iceland, according to travelers. 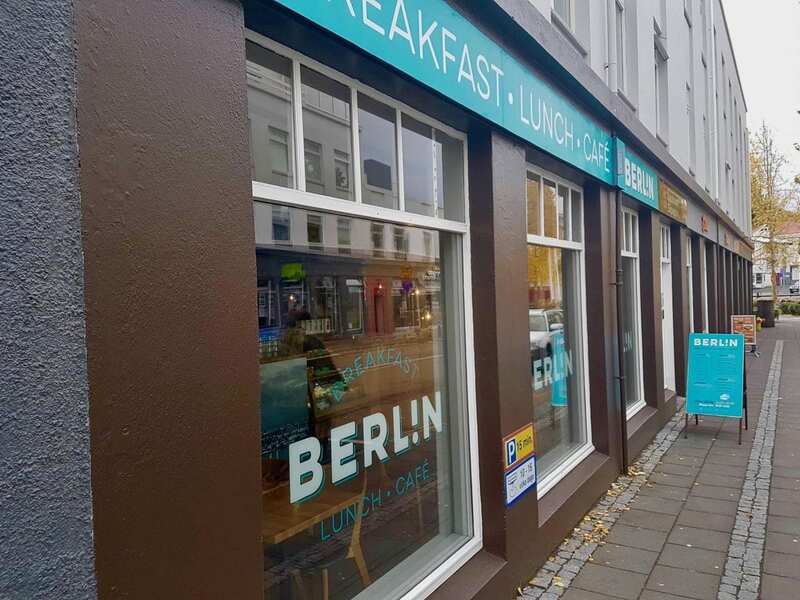 In the Akureyri City Center sits Berlin Akureyri, a cozy coffee café. This café is vegetarian-friendly and serves a great variety of brunch dishes such as sandwiches, quiche, salmon, and top-notch coffee (with free refills!). Sweet staff and even sweeter food can be found here at Berlin Akureyri. For American visitors, this may be a little too close to home, but rest assured, this diner’s got great food. 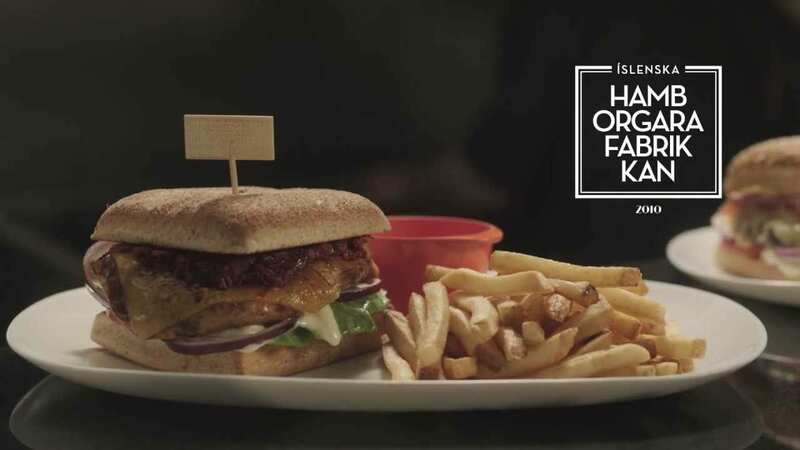 Hamborgarafabrikkan is a restaurant under the Hotel Kea that serves delicious burgers, shakes, fries, and signature sauces. If you’re looking for some familiar food from back home, this is a great place to check out- It’s great for families, too! 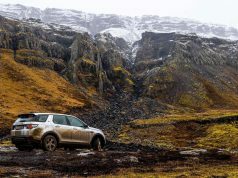 Excellent food with excellent prices (for Iceland, at least! 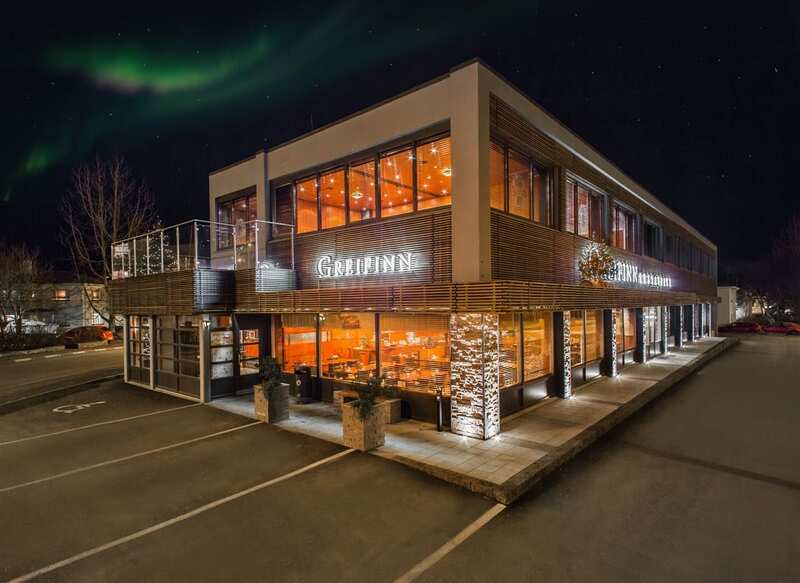 ), Greifinn is a modern, family-friendly restaurant with a delicious menu. With pizza, fajitas, salad, and more, this restaurant is known for having a diverse menu and a contemporary atmosphere. 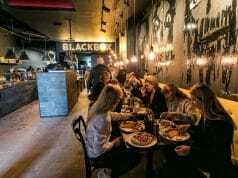 This place is particularly known for tasty pizzas and “great hangover food” as well. 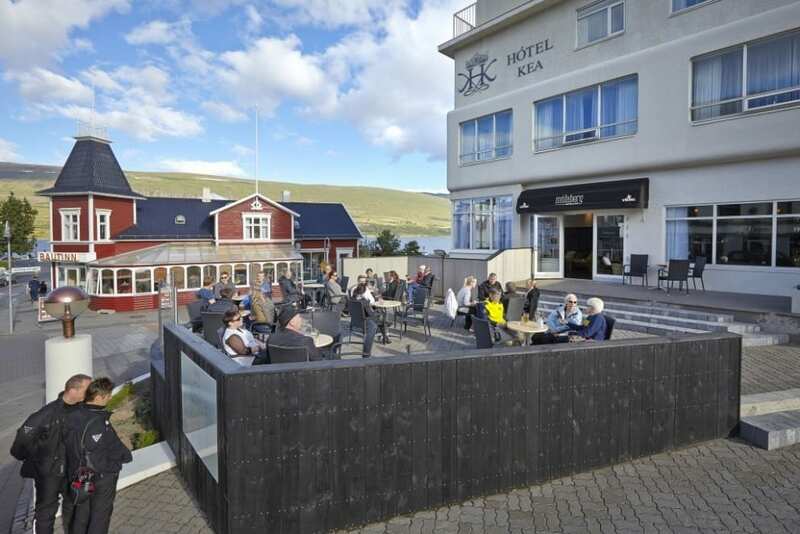 Mulaberg is located in Hotel Kea, similar to the Hamborgarafabrikkan burger joint. This is an excellent bistro that sells finger foods, tacos, hamburgers, and more. But the bistro is recommended by locals for its seafood bisque! Additionally, Mulaberg is an elegant bar with a great quality selection of beer, wine, and cocktails. 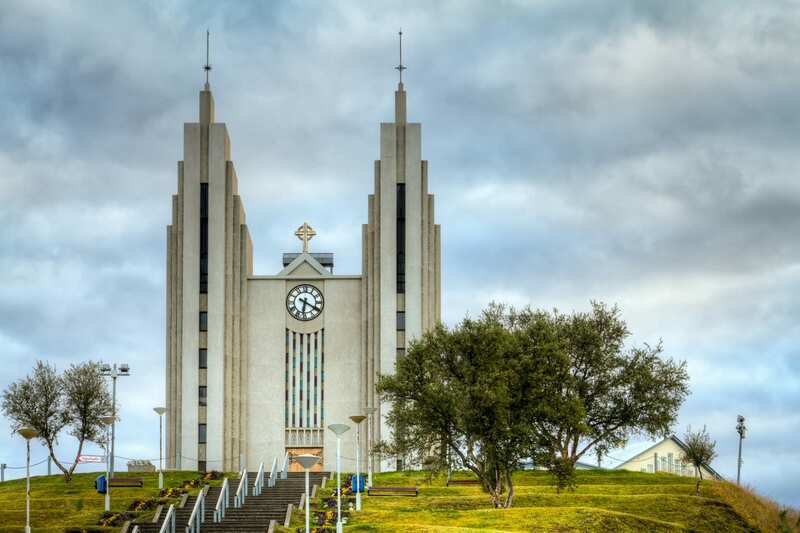 The restaurant sits at a scenic corner of Akureyri where you can see some beautiful landmarks of the town, such as the church of Akureyri and the alley of arts. 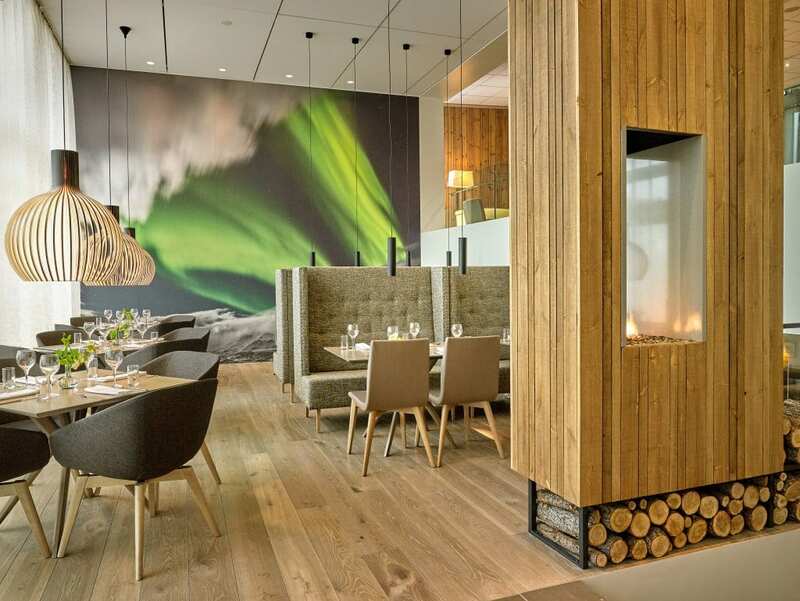 If you’re in the mood for contemporary Scandinavian-style food, look no further. 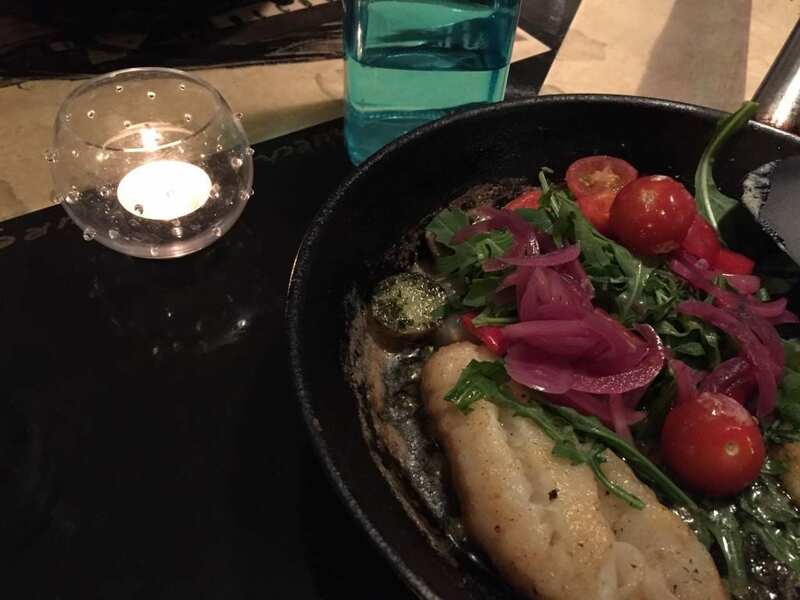 With tasty fish, burgers, and lamb, the Aurora Restaurant is considered a European fusion restaurant. Its highly-rated food, service, and value are all great qualities, especially for travelers! 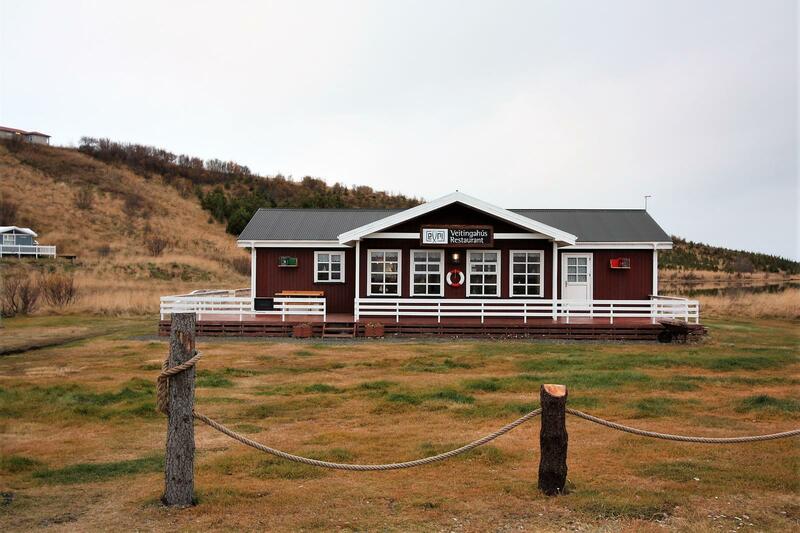 A brunch restaurant with top-notch lamb soup and open sandwiches, 1862 Nordic Bistro is a great place to get a quick lunch at before whale watching or exploring the Akureyri area. The restaurant sits in the lobby of the cultural center with a great view of the harbor. Kaffi Ilmur is an Icelandic restaurant with reasonable prices and fantastic food. The coffee and cake are sold for a better price during their “happy hour” between 4 PM to 7 PM. It’s known by locals as an authentic, tasty cafe with all kinds of delicious food to try. Quiche, cakes, and coffee- oh my! This cafe is cozy and inviting with perfunctory service, serving a myriad of sandwiches, tea, and coffee. But Blaa Kanna Café is particularly known for their amazing desserts! TripAdvisor titles this place as the #1 dessert restaurant Akureyri. So, if you’ve got a sweet tooth, this is definitely the place to visit! This is a quaint restaurant on some beautiful land. And if you’re looking for some authentic European food, this is definitely the place. Eyri Restaurant Veitingahus offers soups with home baked bread, fresh fish from the fjord, chicken, beef, coffee, and desserts. The menu features many different kinds of wholesome, delicious food- everyone in your party is likely to find something they love. 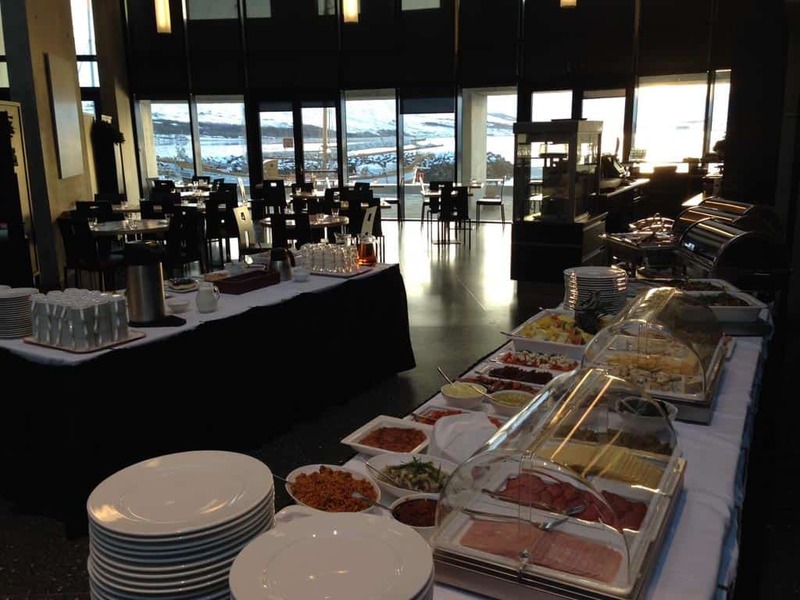 Titled #1 of 46 restaurants in Akureyri on TripAdvisor, this place is a fan favorite. The house you eat in is warm and homely, serving a great selection of fish dishes, meats, and local breads. With outdoor seating and a modern and relaxed setting, the restaurant is also surrounded by gorgeous sculptures and art. Overall, this eatery is loved by both locals and travelers for its delicious food and consistent five-star reviews.